Hello, BRI fans! Toni here with my first post as a member of the BRI design team. I so look forward to sharing my creations with you over the coming months! I'm using Neat and Tangled Stay Cool images that I stamped with Memento Tuxedo Black and colored with Copics. I've been interested in creating more shading lately so relied heavily on BV23. You can especially see it on the dark areas of the fur on the girl's clothing. Once the images were colored up I chose some Echo Park Celebrate Winter paper to use for the sky and hills. I diecut the hills using Lawn Fawn Stitched Hillside Borders. I love that the hillside is in an unexpected patterned paper that totally works for the scene. 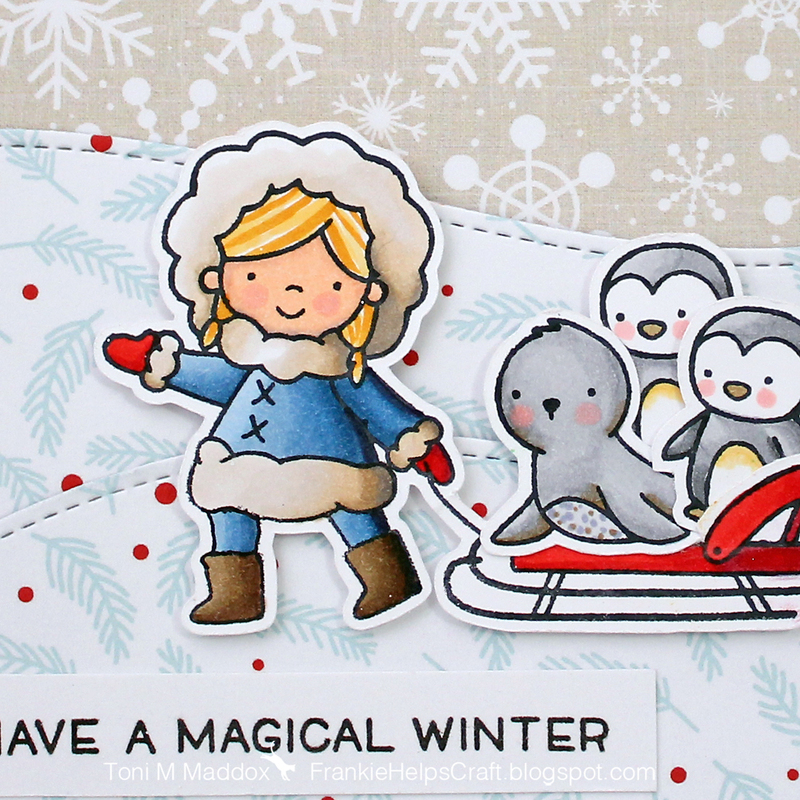 Lastly I popped the images up on foam tape and stamped a sentiment from Lawn Fawn Frosty Fairy Friends onto a strip of white cardstock using Versafine Onyx Black. Feel free to check out my blog, Frankie Helps Craft, to see my other creations. In the meantime, stay warm and I'll see you next week! this is so cute Toni!